Malpractice sometimes referred to as professional misconduct involves all areas of professional activities where an individual suffers damages because of negligence and/or lack of professional ethics by the professional providing the service. If you want to receive the largest settlement possible, you must have an attorney who has both the experience and track record to represent your case. This is what sets MADKOUR LAW FIRM apart from the rest Our success at trial leads to a significant advantage when dealing with defense attorneys and insurance companies that represent doctors and hospitals in settlement negotiations. Approximately 95% of the cases filed by our office settle prior to trial due to our reputation and strong trial record. Our firm collaborates with a team of experienced medical malpractice attorneys who share our dedication to aggressively defend our clients. If you believe you or someone you love has suffered as a result of medical malpractice, you may be eligible to seek compensation for pain and suffering, serious injury, lost wages, medical expenses and wrongful death. As your attorneys, we will work with medical experts to collect all relevant documents and review your case, seeking the compensation you deserve. Medical malpractice lawsuits are time-consuming and expensive. While you could seek recovery for a minor injury resulting from health care negligence, the time and money involved in these cases makes it unrealistic to do so. If you feel you have suffered from medical malpractice, we can help you determine whether your claim is worth is pursuing. At Madkour Law Firm, we bring to each client engagement years of legal experience, unprecedented knowledge of trying medical malpractice and negligence cases and a passion to defend and fight for patients’ rights. Legal Malpractice is the term used to describe attorneys who do not follow the rules of conduct and ethics as set forth by governing bodies and regulatory authorities. Legal Malpractice occurs when a lawyer fails to provide the quality of care that should reasonably be expected and the client is harmed. 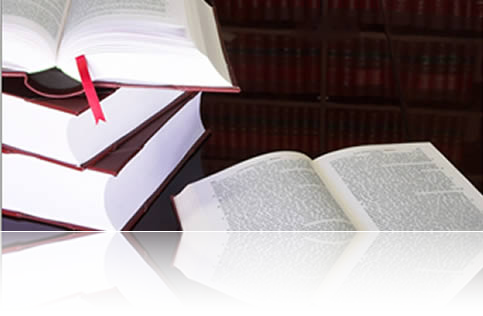 We have litigated and tried numerous successful cases involving claims of professional negligence, breach of fiduciary duty by attorneys and attorney - client fee disputes. The three major theories of liability are negligence, breach of fiduciary duty, and breach of contract by an attorney that causes harm to his or her client. b.) That if the lawyer had handled the work properly, you would have had a better outcome. •	Did the lawyer miss the statute of limitations? •	Was my case dismissed because my lawyer failed to diligently pursue the case? •	Did my lawyer force me to settle my case for an inadequate amount? •	Did my lawyer have a conflict of interest? •	Did my lawyer use adequate "discovery"? •	Did my lawyer abandon my case just before the trial? •	Did my lawyer bill me a reasonable amount? Every case is exciting, for we have the opportunity to learn new things, and help people regain trust in an attorney.